Get on your motor bike and put on your bike helmet! 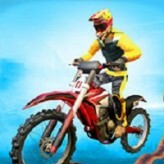 Race across 24 crazy courses with your motorbike and race against the time in Bike Racing! 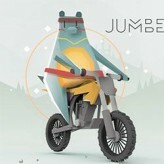 Speed up to make a loop de loop or slow down to descend slowly and safely in this funny motorbike challenge game. 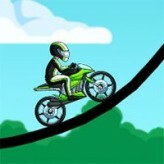 Bike Racing is a physics based motorbike game with funny dialogues and challenging courses. The game features 24 tracks with loop de loops, epic floating tracks, and obstacles. Your goal is to finish the track in less than 2 minutes. Collect as many coins and stars as you can to unlock new motor bikes to replace your noobish scooter! Balance your bike like a pro and don’t be a noob or you’ll get laughed at! There have been 550 plays and 7 likes from 7 votes (100%) since 25/04/2016. 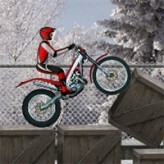 You are currently playing Bike Racing game for free on Arcade Spot. It is a single game out of a variety of games that you can play on Arcade Spot. 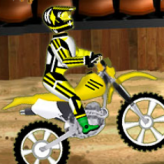 Play more games like Bike Racing in the App, Arcade, Challenge, Driving, Funny, Motorbike, Physics, Racing, Simulation, Skill, and Sports gaming categories. This game has a rating of 100 out of 100 based on 7 user ratings. If you enjoyed playing the game, give it a thumbs up. Free Online Games and Arcade Games are added every day. Arcade Spot will bring you the best games without downloading and a fun online gaming experience on the internet.